Start by boiling 8 cups of water. 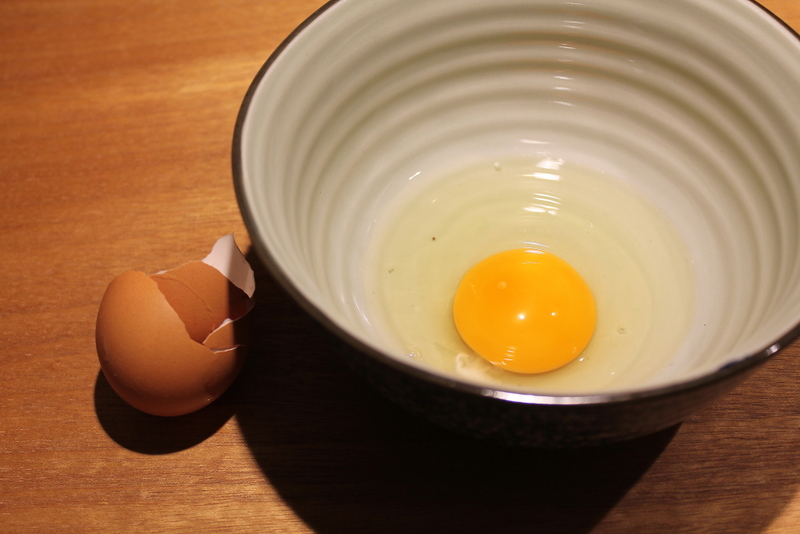 Then grind your coffee and beat the egg in a bowl. 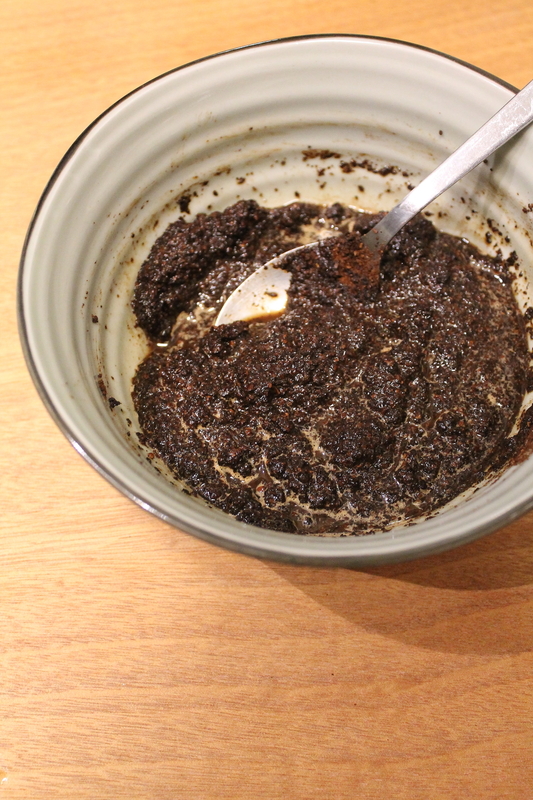 Then mix your coffee grounds with the egg and 1/4 cup of water. 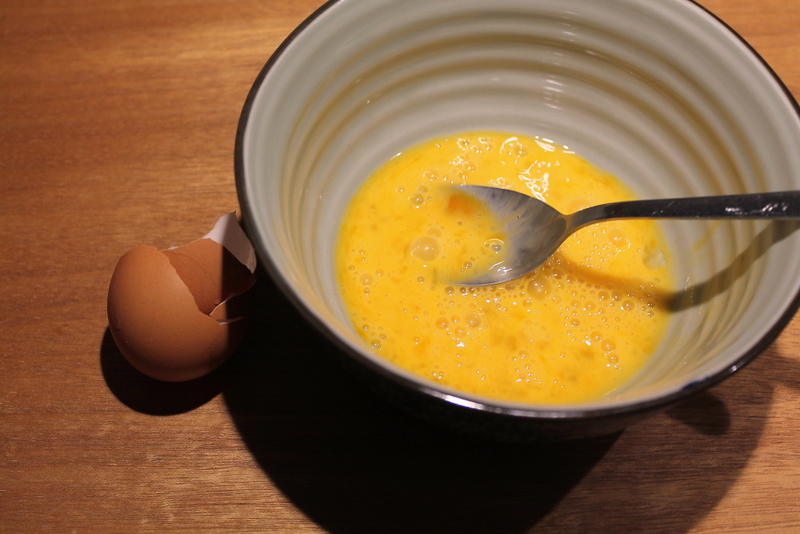 Pour this egg mixture into the boiling water and stir. Allow to boil for 3 minutes without stirring. 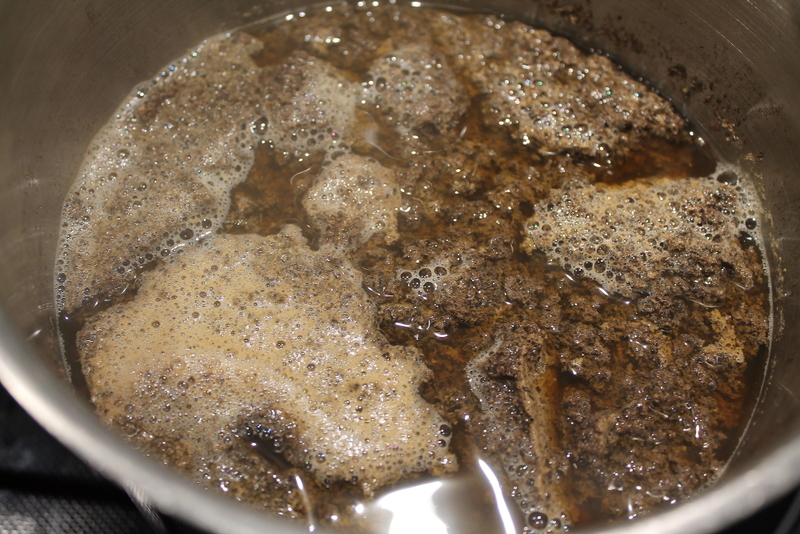 As the egg cooks, the coffee grinds will start clumping up. After 3 minutes, remove from heat and let stand for 2 minutes. The picture on the left is taken right after 3 minutes, and the one on the right is after sitting for 2 minutes. Strain the coffee through a fins sieve. The coffee will take a nice amber color. The taste is lighter and not strong. Almost watery. I used medium roast on a medium grind for this coffee. Boil 8 cups of water. 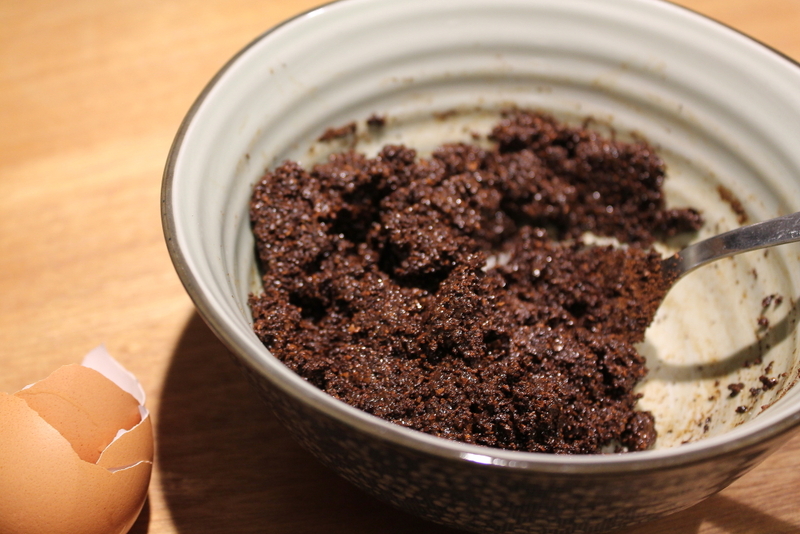 Meanwhile, mix together the egg and coffee grounds and 1/4 cup of water. 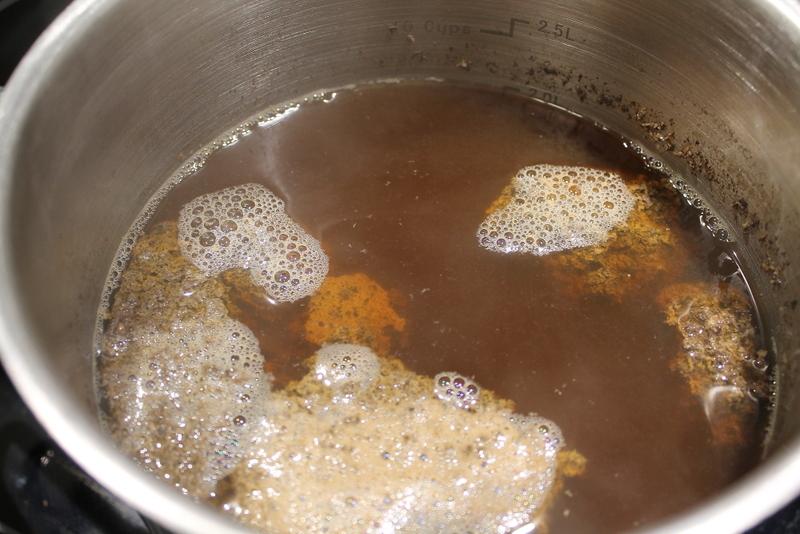 When the water boils, add the egg mixture to the water. Stir and let boil for 3 minutes. After 3 minutes remove from the heat and let stand for 2 minutes. Strain with a fine sieve.